Join Detective Rousseau as he hunts for a clumsy thief in this Betsoft production - After Night Falls Slot.Themed around a ruthless criminal who terrorize a town, this slot offers a wonderful gameplay. 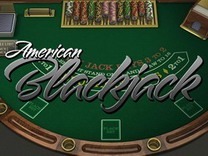 You will interact with different characters on the reels as you spin for big wins. 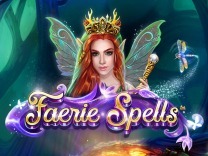 After Night Falls Slot is a 5-reel, 3-row and 30 payline slot with tons of free spins, substituting wilds and a bonus game.So get ready to arrest the thief as he goes on with his terrorizing ways as you try to win amazing prizes. After Night Falls is another Betsoft amazing creation which details the life of a notorious thief and a detective. The theme is perfectly executed with the characters awarding different prizes depending on the number of symbols a player matches consecutively. The animations are also designed wonderfully thus rendering amazing visuals and graphics. The soundtrack also supplements the theme as it nudges you to continue playing the slot.The load time of this slot is wonderful and easy to play. Because many players would like to play this slot while on the go, you will find that the slot is compatible with the desktop and mobile whether iOS or Android.If you are searching for a slot which is perfect for all players then this is the slot to pick. 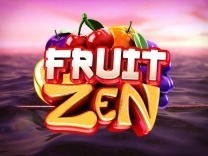 It is a medium variance slot with regular payouts and occasionally you will be transported into the bonus games which will award different prizes. it does not matter if you are novice or veteran, this slot is the game to play. After Night Falls features different characters which make this slot exciting to play. The characters incorporated in this slot include the detective, a camera, a feline cat, jewellery in a bag and a screen. Because this slot does not have the generic card symbols, these are the only characters which have a payout on the base game. The highest amount which can be paid out per bet line is 250 coins for matching 5 of the detective symbols while the lowest amount which can be paid out while playing this slot is 2 coins for matching 3 of the loot in a bag symbol.Players can make a wager depending on their bankroll as this slot allows players to adjust their wager. Players can set a low bet of 0.02 and a high of 75 with the coin value ranging from 0.20 to 0.50. You can also set the number of coins which you need per bet line. The number of coins ranges from 1 to 5 making the maximum coins for all pay lines to be 150 coins. In After Night Falls, you will find 30 paylines which will give you multiple chances of making a winning combination with each spin. You have to match at least 3 symbols on an active payline to receive a payout.Look out for the detective as this is the best symbol in After Night Falls. Landing 5 of these symbols on a payline will award you 500 coins. 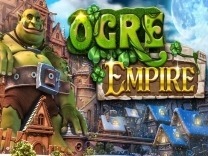 While this slot offers a wonderful base game, there is also other bonus features which make the game amazing. 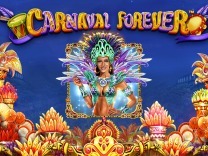 There is a free spins scatter symbol which will award you free spins. 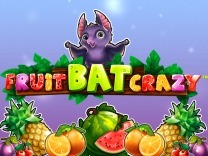 to trigger the free spins by landing at least 3 of the detective's desk symbol awarding 10 free spins. 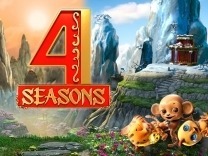 landing 4 or 5 of these symbols will award 15 or 25 free spins respectively. landing 2 of these symbols will also award you 60 credits which will come in handy when setting your wager.A magnifying glass is a moving wild which can be triggered by landing a magnifying glass anywhere on the reels. this symbol will create free spins as long as it is still on the reels. With each spin, the magnifying glass will move one reel to the left until it reaches the leftmost reel before disappearing after awarding one free spin.Receive 3 or more criminal symbols anywhere on the reels so as to trigger the 5 rooms click me feature. you will be required to choose a front door to thrust the criminal into the apartment so as to steal credits from the apartment. You will be required to keep selecting until the word select appears on the slot.If you are betting on all 30 paylines , then there is a chance to trigger the stacked collapsing wins. when the entire reel containing the same symbol in a column, you will be awarded an extra credit which is equal to 3X the symbol payout. the collapsing symbol will merge into a single icon which will allow two additional symbols which will drop into place giving additional chances for credit wins.Land 3 granny symbols on reel 1, 3 and 5 so as to trigger the bonus round. In this feature a criminal has broken into the granny's house and stolen her belongings. You will be required to help the detective to select areas of crime scene so as to inspect for clues. this will award credits for all evidence uncovered.Finally there is the double up feature which will allow you the option of doubling your money. 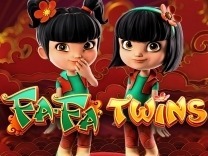 To access this feature, click the double up button on the main game after landing a winning combination. this will transport you to a second screen which will require you to choose a coin side either heads or tails in the coin toss.